Mitchell S. Jackson’s debut novel The Residue Years received wide critical praise. Jackson is the winner of a Whiting Award. His novel also won The Ernest J. Gaines Prize for Literary Excellence and was a finalist for The Center for Fiction Flaherty-Dunnan First Novel Prize, the PEN / Hemingway Award for Debut Fiction, and the Hurston / Wright Legacy Award. 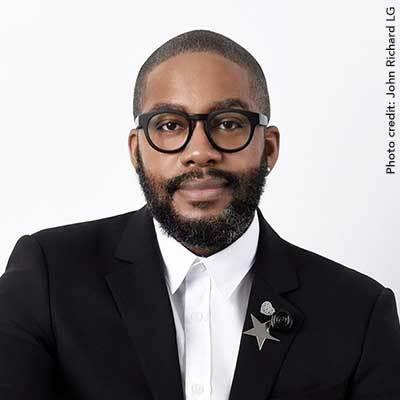 Jackson’s honors include fellowships from the Lannan Foundation, the Ford Foundation, PEN America, TED, NYFA (New York Foundation for the Arts), and The Center for Fiction. His writing has appeared or is forthcoming in The New Yorker, Harpers, The New York Times Book Review, The Paris Review, The Guardian, Tin House, and elsewhere. His nonfiction book Survival Math: Notes on an All-American Family is forthcoming from Scribner. He is a Clinical Associate Professor of writing in Liberal Studies at New York University.